HEREBY, THIS IS A SUMMARY OF OUR ACCOMMODATION CONTRACT (Complete contract can be sent to the guest's e-mail address upon request, even before the reservation is made). CLAUSE 4.- The guest's day visitors may only use the lobby and hotel restaurants, but cannot enter hotel rooms or any other area. Visitors may acquire a DAY-PASS for $300 Mexican pesos per day, which provides access to hotel areas from 8:00 a.m. to 7:00 p.m. The guest will be responsible for his or her visitors' actions and purchases. CLAUSE 6 (Schedules). One hotel pool will open at 9:00 a.m. The remaining pools will open subsequently, with staggered openings on the hour. All pools will close at 8:00 p.m. and may not be used until they open the following day. Beach furniture will open from 10:00 a.m. to 7:00 p.m. The elevator will remain closed for as long as hotel personnel deems necessary, so long as there are no safety reasons for its use. The hotel parking lot, located on 160 Lirio Street, will open from 7:00 a.m. to 10:00 p.m. Beach access will open from 6:00 a.m. to 8:00 p.m., however, the lobby door will stay open at all times. 7.1. Furniture, kitchenware, bathroom towels, and linens may not exit hotel rooms. Pool towels should remain inside the hotel and cannot be taken to the beach. 7.2. The guest will be responsible for using and returning areas, furniture, and equipment in good condition and for keeping occupied areas free of trash and obstacles. 7.3. To uphold health and respect, smoking is not allowed in rooms or common areas, except in designated smoking areas. 7.4. Pool use requires bathing suits and a prior shower. Consuming food and drinks in and around pools is not permitted. 7.5. In order to keep the peace and uphold children's health, only persons over 16 years of age may use the hot tub. 7.6. Grills are not permitted in the hotel. 7.7. Pets are not permitted in the hotel. 7.8. Speakers are only allowed at a low volume, to keep from bothering other guests. Personnel may use their own criteria to request that guests lower or turn off the volume, and the guest must comply. 7.9. Inebriation, yelling, and using inappropriate language, as well as any offensive behavior, is forbidden within hotel property. 7.10. The vehicle passageway at the hotel entrance is exclusively for pickup and drop-off for check-in and checkout. Vehicles may stay for a maximum of 30 minutes. The hotel may tow away vehicles if the guest breaches this agreement. 7.11. Any regulations and announcements posted within the hotel must be observed as if they were written in this present document. 7.12. Any public security employees who lawfully possess arms must inform hotel personnel upon entry and provide a copy of the document allowing weapon possession. Entering the premises with substances or articles banned by law is not permitted. 7.13. According to the National Conduct Code for the Protection of Girls, Boys and Adolescents in the Trip and Tourism Sector (CCN), sexual and labor exploitation is strictly prohibited. 9.3. Check-In Guarantee: Besides paying the established fees, the guest must leave a $500 Mexican peso credit-card guarantee on file per room or provide a cash guarantee of the same amount, which will be returned at the end of the present contract as long as no debts remain for purchases, missing items, or damage. 9.5. Penalizations: Following the reservation, if the guest decides to cancel the contract, any nights or services that were not consumed will not be reimbursed. Any damaged or missing hotel property must be covered by the guest according to the prices shown in the lobby. Damage to any hotel articles or furniture must be covered by the guest, according to our estimates, and if the guest disagrees, the guest may hire a legal professional to estimate the price. Exiting the premises after the accorded time will incur a 100% fine for the corresponding night rate. 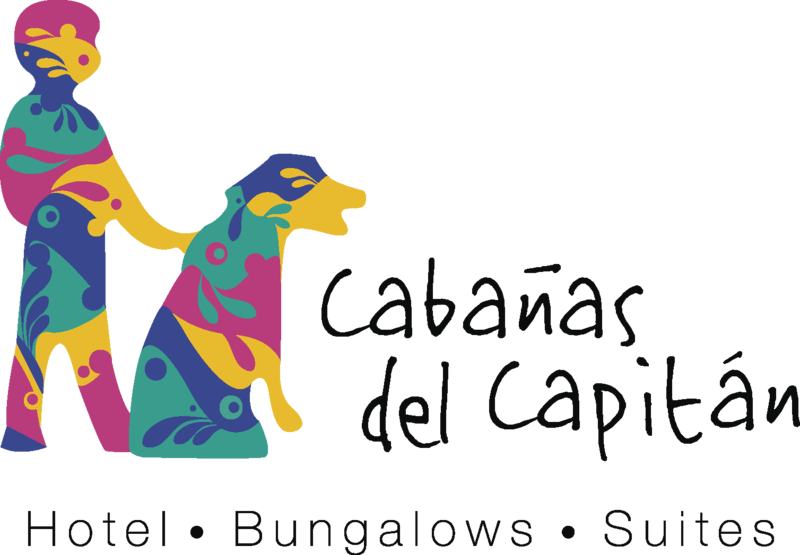 Anyone found smoking in restricted areas or bringing pets will be fined $1,000 Mexican pesos, notwithstanding any legal penalties or eviction from the property, with no right to reimbursement. CLAUSE 10.- Jurisdiction: The guest and the hotel commit to resolving any unforeseen issue or controversy related to this present contract in a friendly way as soon as the issue arises. If no agreement is reached, both parties will submit themselves to the jurisdiction of the courts of the municipality of Compostela Nayarit, renouncing any other jurisdiction or alternative mechanism to resolve controversies that would correspond to their present or future address.